A heavy-duty construction, withstands hot water temperatures and high pressure. Easy-peasy quick connect. 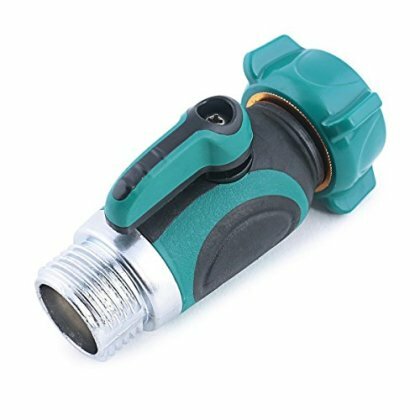 No need to wait for your husband or next year...easy-on swivel connector assures accurate connection to faucet, and full water flow right away. Fix leaky faucets, save tons of time and water, prolong the life expectancy of hoses and spray nozzles, and keep your family safe, happy and healthy.